Nation writers and friends remember the great radical journalist. Alexander Cockburn, a longtime columnist for The Nation magazine and co-editor (with Jeffrey St. Clair) CounterPunch, died Friday night in Berlin at the age of 71 after a two-year battle with cancer. Cockburn, who penned The Nation’s “Beat the Devil” column since 1984, was one of America’s best-known radical journalists (here is a selection of our favorite columns). He was born in Scotland and grew up in Ireland. He graduated from Oxford in 1963 with a degree in English literature and language. 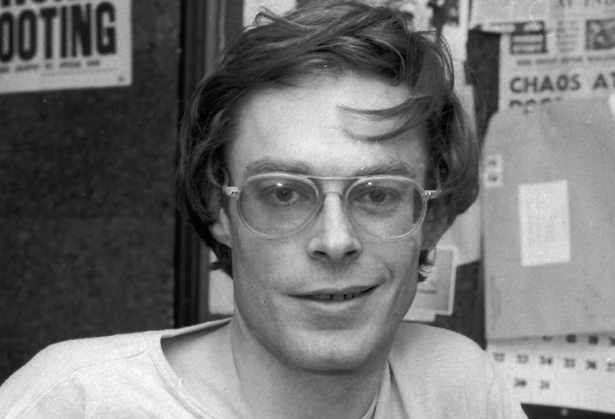 A permanent resident of the United States since 1973, Cockburn wrote for many years for the Village Voice about the press and politics. Since then he had contributed to many publications, including The New York Review of Books, Harper’s Magazine, The Atlantic Monthly and the Wall Street Journal (where he had a regular column from 1980 to 1990), as well as alternative publications such as In These Times and the Anderson Valley Advertiser. We’ve asked Alex’s friends and colleagues in The Nation family to share their memories of him, and we’ve culled a selection of eulogies from around the web. We’ll update this post as more contributions come in. My beloved uncle—he opposed bad wars, pompous people, the casual cruelty of conventional thought, and he dared always to extend his own neck first for the chop. I loved him, from the early days thirty years ago, when he incited me to leave old London for what he relished as fresh America, to the last weeks when he urged me to write and stick to my path. His was the voice that rang out early from the couch: “Are you ready to greet the day with unbridled optimism?” He told me earlier this year he’d never been depressed a day in his life. Alexander cared for horses, cooked cordon bleu with cockatiel Percy on his shoulder, and wrote daily with dog Jasper at his feet. He could grill a pork chop on a car muffler, prune an apple tree to perfection and rescue a classic car from any dump. He lived brave and bold and built a loving community with his friends and daughter, Daisy, in Petrolia, endowing an annual art prize at the local college, Humboldt State. Alexander inspired us to think smarter, write better, read more, and above all, to think for ourselves. He believed in a great animating spirit in everything. May he unleash ours. Alex Cockburn and I became close friends in the mid-1980s, when my family and I were living in Riverside, California, and I was teaching at UC-Riverside. The location is important, because one of the main reasons I got to know Alex so well was because he loved coming to Riverside, and staying for long stretches. This was because Riverside—then as now—was decidedly un-hip, the opposite of, say, West Los Angeles or the Upper West Side of Manhattan. There has never been a houseguest like Alex. We always welcomed his visits, even though it was never clear that we had invited him in the first place. He would arrive invariably in a beautiful old 1950s American car, including, for a while, a spectacular red Chrysler Imperial convertible, that he then kept in our garage for about a year. A measure of Alex’s fundamental inner tranquility was that, the one and only time we took the Imperial for a drive in Alex’s absence, we parked it in the K-Mart parking lot near our house. Sure enough when we came out of K-Mart, the car had been scratched. I was prepared to receive Alex’s wrath, but instead he took the news in stride, asking whether we had enjoyed our spin in this amazing chariot of a vehicle. This was well before the Internet era, so Alex would bring large bags full of newspapers, magazines, studies, his typewriter and fax machine, and just camp out for days. The only way we knew for sure Alex was coming was that a day or two before his arrival, we would start getting calls on our home phone—since this was also before cell phones—often from the likes of Abbie Hoffman, Perry Anderson, Noam Chomsky, Jean Stein, Ralph Nader, Jesse Jackson and Michael Moore. Alex would work the phone hard with such people at our house, but he always seemed more interested in spending time talking with local Riversiders he had come to know, such as our car mechanic George. George and Alex became good friends. I’m quite sure George knew absolutely nothing about Alex as the world-renowned leftist journalist, and if he had known, wouldn’t have cared. Alex also became good friends with our two daughters, Emma and Hannah, when they were about 9 and 6 years old. Emma once had a school assignment to write an essay on the person she most admired in the world. Without asking or telling anyone beforehand, she wrote it about Alex. After I had sent the essay to Alex, he told Emma how honored he felt. He said that nobody had ever captured him so well in words. I think he really meant it. The true measure as to how much Alex respected my daughters occurred after he had written something very nasty in one of his columns about, of all things, Sesame Street. I told Alex that he had written many great columns about, say, Reaganomics or US imperialism and Nicaragua, but that he had totally missed the boat on Sesame Street, which my kids, along with zillions of others, loved. After Alex heard confirmation on this directly from Emma, he published a lengthy retraction and apology. Since Alex died on Friday, I have seen many descriptions of him as a fierce and relentless critic who would never, ever back down. But my family and I knew otherwise. One thing I haven’t seen mentioned in the many tributes (and screeds) to Alexander Cockburn I’ve read since his unexpected death on July 20, was his unmitigated support of interns, and specifically, his singular tendency to open up his coveted column inches to the work of young, untried researchers giving them valuable exposure and a clip that, back in the pre-internet days, was a valuable asset in getting future work in what was then called the alternative media. I was Alex’s intern in 1990 and in June of that month he asked me what I thought he should write about for his next column. (And I should mention that Alex was not being lazy here—he never had trouble coming up with column topics.) I mentioned something about how the FBI Cointelpro program to surveil and undermine domestic dissidents was still relevant and that parallels could be drawn from the repression of the Black Panther Party (something I’d written a paper about for a senior history seminar months earlier) to the spying on militant environmental activists associated with EarthFirst!, who were then staging a civil disobedience campaign called Redwood Summer. Read the rest of Peter’s tribute here. Alexander Cockburn and I met in the 1980s, when we shared places on a panel in Detroit, where the topic was the latest murders of Catholic priests by Latin American death squads. Alex was talking about the horrors of US foreign policy. I was talking about the horrors of US media coverage of US foreign policy. We were sufficiently in sync that our mutual friend, brilliant music writer and thinker Dave Marsh, came up at the end of the evening and, presuming that we were comrades long-standing, told us we really should take the show on the road. We did, more or less, appearing frequently together over the years. But most of our time together was spent at my home in Madison, Wisconsin, where Alex was a frequent guest. He would pull up in a great big American car, the trunk packed with favored libations, new books and the facsimile machine he used—even after the Internet had its moment—to send columns to The Nation. Read the rest of John’s tribute here. What amazes me about Alexander Cockburn is not that he died so young, but that he lived so long. I always thought he would be assassinated. No one could get away with speaking the truth as he did. He gave me courage every day I lived to be truthful myself, and stand up for what I believed. Alexander and I were friends for years. I witnessed this brilliant commentator conversing with the world, and avidly read everything he wrote. I would visit him in his home in Ireland, fortified by a nearby wishing well. He would visit me here in Rancho Santa Fe. We shared many of the same friends, whom we both missed when they died: Edward Said, Bernard Knox (who fought with Alexander’s father Claud in Spain against Franco), Thomas Rosenmeyer, and Charlie Segal. I’ll miss our shared memories. On many an evening we wrapped the atrocities of the world in a cocoon of drink, so we could wake the next day as optimists with hope we could bring about change. I feel we never grew up, and we were both proud of it. We believed in living life fully, with courage, perhaps filled with mistakes, but also filled with warranted conviction. Alexander died as he lived, a super nova, a man who fearlessly stood up for what he believed. Jeffrey St. Clair, a friend and colleague who edited CounterPunch with Cockburn, was one of the few who knew how sick he was these past two years. St. Clair’s tribute to him remarks on his commitment to living his full life, even in his last months. In one of Alex’s last e-mails to me, he patted himself on the back (and deservedly so) for having only missed one column through his incredibly debilitating and painful last few months. Amid the chemo and blood transfusions and painkillers, Alex turned out not only columns for CounterPunch and The Nation and First Post, but he also wrote a small book called Guillotine and finished his memoirs, A Colossal Wreck, both of which CounterPunch plans to publish over the course of the next year. At the Daily Beast, Michael Tomasky, who was Cockburn’s intern at The Nation in 1987, writes about the several iterations of Cockburn he grew up with, from reading him in the Village Voice, to working for him (the “Do not touch! These papers are Alexander Cockburn’s! Fierce Dog!” note on Cockburn’s Nation desk is remembered well), to debating him on radio. Louis Proyect, of the blog The Unrepentant Marxist, followed Cockburn wherever he wrote—even going so far as to subscribe to the pre-Murdoch Wall Street Journal when Cockburn wrote a one-every-three-weeks column there. Alexander Cockburn was never interested in being accepted by the political tastemakers. Wherever he wrote, from the Village Voice to House and Garden, he always told it like it is—unrepentantly. Cockburn always put his ideas on the line. He was courageous and he had integrity by the railroad carload. I can honestly say that I only decided to continue with radical politics in the early ’80s because of his writing. I can also say that in my own crude and muddling fashion, I have tried to write like him. Granted, my half-assed Bard College education could never compete with the kind of training he must have gotten at Oxford but at least I was encouraged by his example to speak my mind and let the chips fall where they may. I first started reading the British-born Cockburn in 1980. Until then, I didn’t know that it was kosher to write with such verve and venom. For a young, aspiring political writer, it was a real rabbit trick. And I wanted to learn how. Robert Scheer of Truthdig, a friend of Cockburn’s and a fellow contributor to The Nation, remembers the sharp compassion within his polemics. Having been on the receiving end of more than a few of his darts, I can attest to the pointed power of his pen but also the accuracy of his criticism. He could get it wrong, but never intentionally so, he worked the issues as hard and thoughtfully as any I have known, and few modern journalists have so thoroughly discredited their critics by later being proved right. I appreciated that Alex, despite having a lot of writing projects of his own going all the time, was always available when I would visit the Voice to discuss a story idea or deliver my copy. He was quick with an incisive comment or a suggestion for a turn of phrase, and while I’ve never developed his rapier-sharp wit, it remains something to which I continually aspire.